With its various stripes of green, navy, blue and white coming together on our satin striped cotton, our Wellington 48 classic fit PJ is designed to be a stylish and feel-good sleep essential. 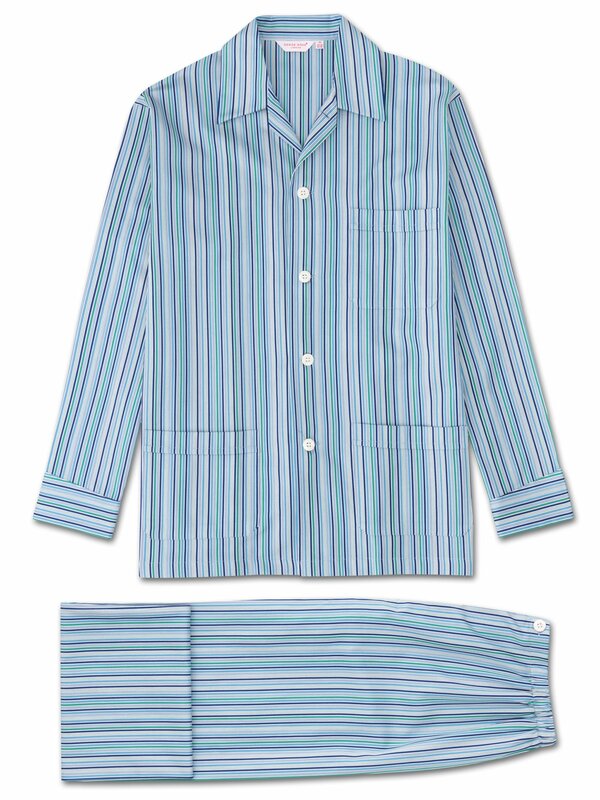 Featuring a three pocket jacket, classic collar and adjustable two button traditional fly, this classic fit pyjama has a relaxed cut and elasticated sides on the pants, meaning the front and back are flat for your comfort. Crafted from a crisp, mid-weight cotton, this luxury pajama is designed to keep you comfortable throughout the cold and warmer months; ideal for cosy nights in and laid-back lounging.